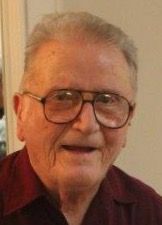 Frank, Thanks for all your efforts towards helping the Mackanos family. Your help is very much appreciated. Randy, Thanks for all your time and effort in providing such a wonderful train display for the youth of our parish at the Breakfast with Santa. 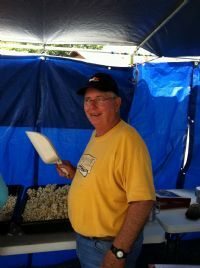 Thanks to Ron for coordinating the Kettle Corn project for Dollar Sunday. 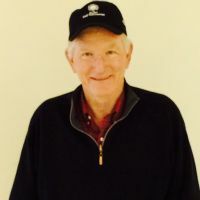 Del was chosen for all his efforts as the #1 seller of books of raffle tickets for the Tee Off For The Kids Golf Tournament. Thanks Del for all you did to make the Golf Tournament a success. 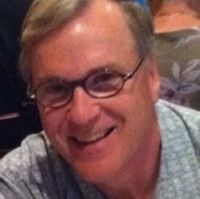 Thanks Mike for all your efforts in selling the Tee Off For The Kids raffle tickets after al week-end masses. For all your help with the distribution of food for St. Agatha's Food Pantry. Carl was chosen for all his assistance with cooking food for our various events. Thanks for all you do. Thanks for all the time and effort given towards helping out St. Agatha's Food Pantry. Your efforts are much appreciated. 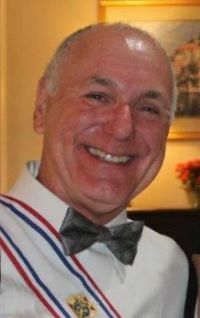 Randy was selected as our May Knight Of The Month for all his efforts in providing entertainment (train displays) for several of our events. Thanks for all you do for the council. Mark, In recognition of you receiving your 2nd/3rd/4th Degrees in such a timely manner. Thanks for all your participation in various activities for the 2018 Fish Fry. All your help was greatly appreciated. Dean received the February Knight of the Month for his participation in our March for Life. Thanks for your support. Dan was chosen for January's Knight Of The Month for being our Santa Claus for the children who attended our Breakfast With Santa. Dan, thanks for your willingness to be our Santa. In recognition for all your work in putting together our new membership presentation. Thanks for everything. 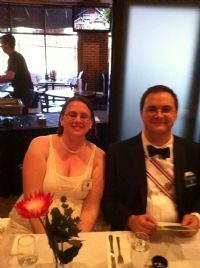 Mike was chosen for coordinating our Officer Installation Banquet. Thanks Mike for a job well done! Thanks for stepping up to do a pulpit talk for Cardinal Glennon. Thanks for the work you did to make the 2017 Parish Fish Fry a success. Thanks for all you do for the council especially spearheading our 50/50 drawings at our council meetings. Thank you for a job well done in your Financial Secretary position. Thanks for organizing the weekly scriptural rosary prayer service. John, Thanks for all you do for the council. Thanks for all your help at the recent car show. Your extra effort in the set-up and break down at the show was really appreciated. 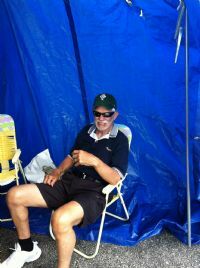 Thanks for coordinating the kettle corn for the car show and for selling the kettle corn after all the week-end masses. 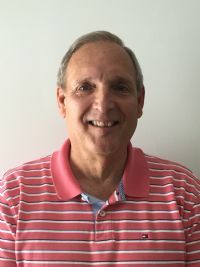 Jim was selected for his participation with the Youth Ministry B.B.Q. Congratulations go to Steve for all his work during the 2016 Parish Fish Fry. Thanks for all your efforts. 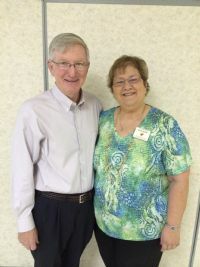 Ed was chosen as our Knight of the month for coordinating the Roses For Life Program at St. Alban Roe this year. Thanks for a job well done. Mike was chosen as the Knight of the Month for December for all his efforts during our projects. He spent numerous hours manning the table in the Narthax selling various council items. Thanks for all you do Mike. Bob chaired our Thanksgiving program to supply to those in need of a turkey during Thanksgiving. Thanks for all your hard work! Thanks to Dan for all his leadership and hard work at the 2015 Golf Tournament. 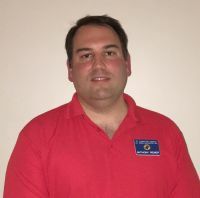 Congratulation to Mike for being chosen as our Knight Of The Month For August. 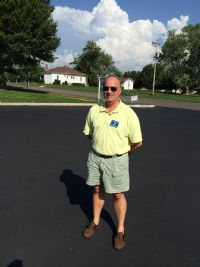 Mike has manned the Golf Tournament Ticket Table after all masses during the month of August. Mike, thanks for all you have done to help not only for our council but ultimately the children at Cardinal Glennon Hospital. Gary chaired the 2015 Car and Bike Show. The time and effort that Gary put forth was very much appreciated not only by the Council but also all who attended the event. Great job Gary. 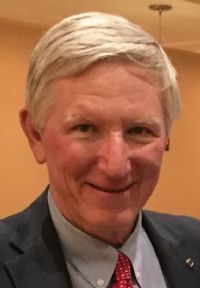 Chosen for his participation as a speaker for Glennon Sunday pulpit talks. 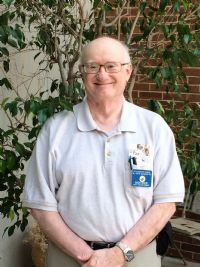 Ron was chosen for all his work in clearing out Knights equipment from Alban Hall, Emmaus Rooms 1 & 2 and the storage areas prior to the construction/renovation of Alban Hall. Congratulations Ron for a job well done. 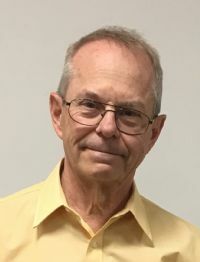 Mike was chosen as April's Knight Of The Month for helping out with various council activities such as the Easter Egg Hunt, greeting guests at our fish fry's, selling Easter magnets in the church narthex. Mike gives of himself to ensure that our activities are staffed. Thanks Mike for all you do for our council. Jim contributed his various talents toward a very successful 2015 Fish Fry. He was in charge of making sure the fryer area was clean and ready to go for each succeeding fish fry. His dedication to this task along with helping cook at the fish fry's exemplifies the Knights principles of unity and fraternity. Thanks so much Jim for all you did. 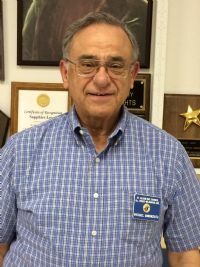 Bob was chosen for Knight Of The Month for February for his commitment towards making the St. Alban Fish Fry a success. Your support and dedication is very much appreciated. Bud has consistently monitored the council's prayer list, brothers in sickness & distress. Thanks for doing this important function for the council for many years. Father was chosen as our Knight of the Month for the month of November. 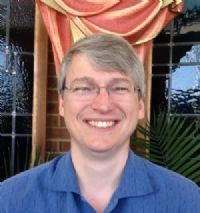 Father Chrismer has supplied our council's newsletter with inspiring articles for all the membership to read and reflect upon. He has made time to interact with council families at our Communion Breakfasts. Father, thanks for all you do for us. Gary spent countless hours researching insurance companies for our council. We thank Gary very much for his attention to helping secure insurance for the council. Dan did an excellent job of chairing the 2014 Tee Off For The Kids Golf Tournament. Don has assisted making Kettle Corn, assisting Sister Christian with directing traffic flow for PSR and helping out with the Family Communion Breakfast. 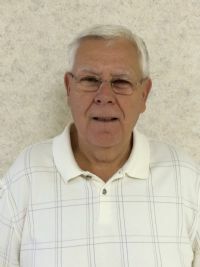 Don, thanks for all that you have done for the council during the month of August. 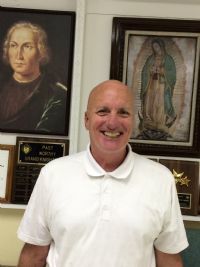 Congratulations to Deacon Keith Mallon for being selected as the July Knight of the month. 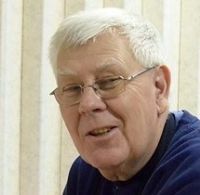 Keith contributes many service hours to the church. He also is the chairman for the upcoming Parish picnic. Thanks for all you do. 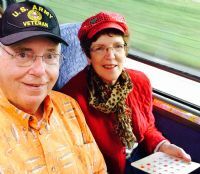 Glen worked making contacts to ensure that a Knight and his wife could have transportation to their doctors appointments during their rehabilitation time. Dave was chosen for all his work during our Parish Fish Fry. Thanks Dave for all you did. Thanks for all your participation at the various council events. We appreciate all that both of you do. Ed and Claudia were in charge of the Roses For Life Week-end in January. Thanks to both of you for coordinating the mass coverages. Great Job to both of you. 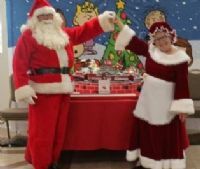 Thanks to Donna Cunningham and Dan Lang for being such great role models for the young people in our parish during our recent Breakfast with Santa. Thanks to both of you. 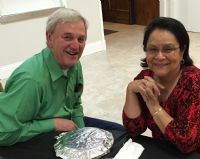 Thanks to Joe and Connie for all your help in making Bunco such a huge success. Thanks to Kevin and Cindy for all your efforts to make the Tootsie Roll drive such a success. Thanks for all your efforts at this year's Golf Tournament. You both gave an enormous amount of effort and time to make the event a success. Thanks to Mike and Mary for all your efforts at all our Council events. Thanks for all you and Gerry do at the various council events. 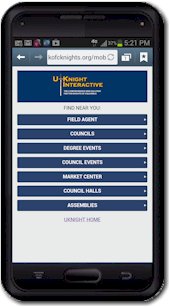 Thanks for all your assistance at our most recent events. In appreciation to Gail and Earl for stepping up and coordinating an unexpected Bood Drive. The council appreciates all that you do. Thanks for all both of you have done for the council for many, many years. You are very much appreciated for all you have done. Thanks for all you do. Your efforts are very much appreciated. Congratulations to Del and Judy. Both of you are always willing to help out at the councils various functions. Thanks for all you do. In appreciation for assisting with the Bunco Night, Thanksgiving Turkey Pick-up and helping with the 2nd/3rd Exemplification. Thanks for all your help with the Family Picnic and the Recruitment Drive. Thanks to Dan and Ruth for all your work to make the 2017 Golf Tournament such a success. 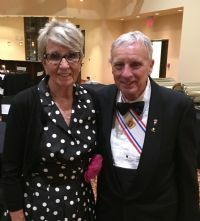 Thanks to Bob and Sue Walker for assisting our new Grand Knight in his transition. 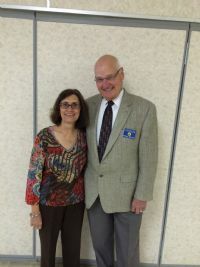 Bob also assisted our Grand Knight with achieving Gold Star Achievement. This award was given for coordinating our food drive at St. Alban Roe. Gregg and Jeanne did an outstanding job! Thank you. Thank you John and Maria for all you do for us. Thanks for all the work Bud and Nancy Roberts chairing the DDD Drive. Thank you for coordinating the annual Tee Off For The Kid's Golf Tournament. Your dedication to this most worthy project is very much appreciated. 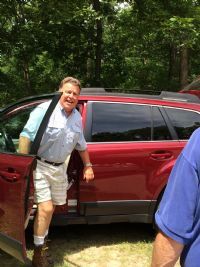 Ed & Carolyn have been active participants in collecting/storing the charitable donations to be auction items at the upcoming golf tournament. Thanks for all your help. Thanks to both of you for all you have done during the month of June. This month's award goes to all parishioners who gave of their time, talent and treasures to make the 2016 St. Alban Roe Fish Fry a success. 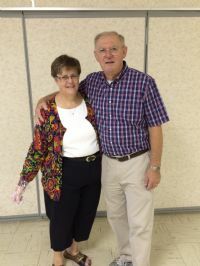 Thanks to Jim and Donna for all their work in various organizations/programs such as CRHP, Beavrement, Fish Fry and several other parish activities. Thanks for all that you do. Thanks for all your efforts in making the basketball free throw contest a huge success. John & Maria were chosen as family of the month for December. John is always helping out with various activities of the council. He sets up the hall for our meetings and is always willing to help out with whatever is asked of him. Maria keeps the flowers that we see at church in a presentable manner. Thanks for all you do. This month's award goes to Steve and Heather for their work on the upcoming 2016 fish fry. GREAT JOB!!! Thanks to all men and women from both organizations for all their support in making the 2015 Golf Tournament a huge success. 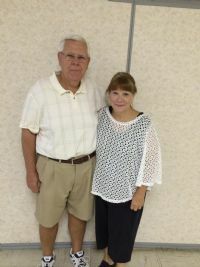 Earl and Gail were chosen to be the recipients of the August Family Of The Month. They have both worked many hours to make sure our Annual Tee Off For The Kid's Golf Tournament goes off without a hitch and is a success. Thanks to both of you for all your hard work. 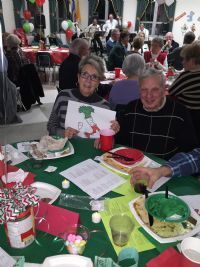 The Downey's were chosen for coordinating the St. Anthony's Food Drive held at St. Alban Roe. Awesome job Greg and Jeanne. For their generous contributions on Glennon Sunday. 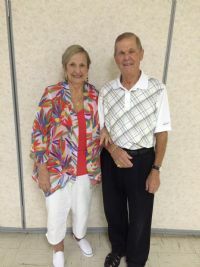 Earl & Gail were chosen for May Family Of The Month. 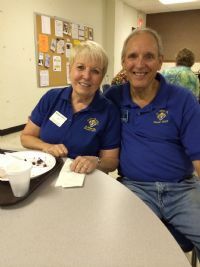 Earl & Gail ensure that the Blood Drives go on without a hitch. Thanks for all you both do. Congratulations to Mike & Mary for being selected as Family Of The Month. 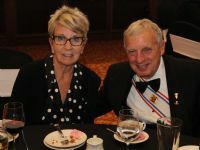 Mike & Mary work together at many of our council functions. 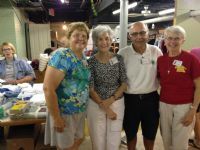 They gave many hours towards the success of our parish fish fry's, and the recent Gala. Mary gives many hours to the choir & Mike to being an Eucharistic Minister, Usher, and Sunday set-up person for the 9 a.m. mass. Both of them count the Sunday collection monies. Thanks to both of you for all that you do. Your selection is well deserved. 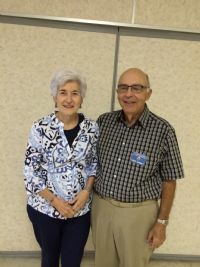 | March 2015 Bill & Pat Carr It is with great pleasure that we recognize Bill and Pat Carr for all the time and effort they contributed at our 2015 Fish Fry's. Bill made the guests who came to our fish fry's very comfortable by talking with them when he handed them a clipboard with the menu on it. Pat worked tirelessly at the dessert table explaining what desserts we had available. Thanks to both of you for a job well done. 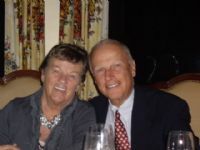 Jim & Donna were chosen for the February Family Of The Month. Jim has given many hours as a fish fry "runner", expert fryer lighter, fryer set-up, etc. Donna has not only coordinated the dessert area, she has made sure there was ample manpower to assist the guests and enough desserts to go around. Thanks for all you guys have done and are continuing to do. Jeff and Catherine volunteered many hours towards the success of the 2014 Soccer Concession Stand. Thanks for all your efforts. The council really appreciates all you did. Bob & Gerry were chosen for the October Family Of The Month for their stewardship and their participation in St. Alban's Family Festival. 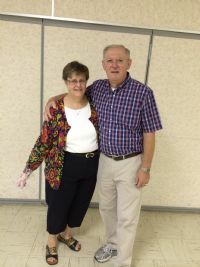 Ron & Margie have volunteered many hours working at St. Anthony's food pantry. They both have put in countless hours making the Kettle Corn run smoothly. They both have worked to make sure the Family Communion Breakfast runs smoothly and effectively. 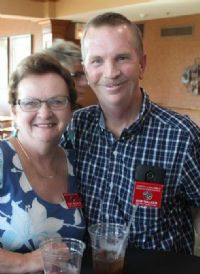 Greg & Jeanne are the family of the month for July. They are recognized for their many hours of service to St. Anthony's. Congratulations to Greg and Jeanne. 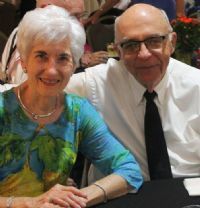 Marty and Rita contributed their time, talent and treasures to ensure the council had excellent food to eat at the Knights Family Picnic. Rita provided a breakfast cassarole for the Knights Family Communion Breakfast. Steve, Heather and their 2 daughters worked tirelessly to make the 2014 Pasta Dinner a success. Steve not only worked the day of the event, he also worked the day prior to the event to ensure everything was in order. Congratulations to Steve, Heather, and their family.